Pierate - Pie Reviews: Oh My, Thai-Pie! We have eaten a lot of unusual pies in our time sailing the 7 Cs so you would think it might be difficult for us to find something completely new in the pie market. It is even harder for a pie company to come up with something a bit different that still gets a double thumbs up from us in the form of a 'Pierate Highly Recommended' award. Most of the Highly Recommended pies in our pie rankings are traditional British favourites albeit that some of them provide interesting twists to the theme. Okay, there are the stray crocodile or ostrich pies included but these are the exception. Hence I was delighted to find that the pies from The Real Thai-Pie Company not only do something completely new by combining Thai and British cuisine, but they are also REALLY GOOD! 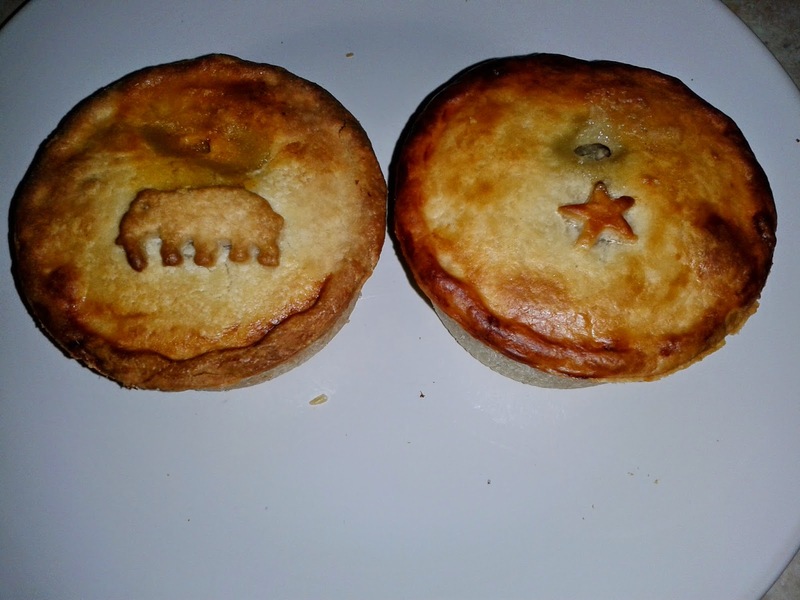 Condition – 5.9 out of 7 – They were well presented with pastry shapes such as an elephant or a star to mark the flavour. They had a simple but pleasing appearance. Despite arriving in the post they held together well, probably because they were frozen. Colour – 5.8 out of 7 – Quite a gradient of golden brown tones across the pie, a bit pale in places, the best colour seemed to come from cooking from frozen. Some of the fillings were of slightly more appealing colours than others but not enough to adjust the scores. 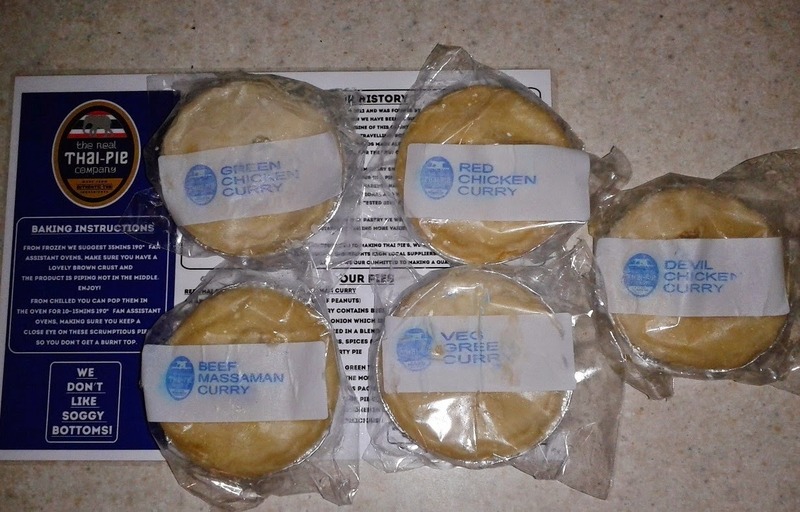 Cheapness – 5.2 out of 7 – The pies retail at £2.00 online (or cheaper if you buy in bulk) and £2.50 if brought from the Thai-Pie stall during an event. At around £2 I thought these pies were good value for something a bit different from a small company. These are quality products. However it is worth noting that they are quite small, only 200g. Capacity – 6.4 out of 7 – For their size, these pies had a good capacity, they were quite tall and well filled with a small or non-existant airgap, great to see! Chewiness – 6.8 out of 7 – Chicken was in small chunks and was quite firm to the bite, which I thought was nice. Content – 6.9 out of 7 – I love Thai red curry, chili, coconut milk, red pepper, what's not to like? The addition of butternut squash to bulk it up was acceptable, there was enough chicken and the butternut squash tasted nice. Overall this was a flavour sensation. 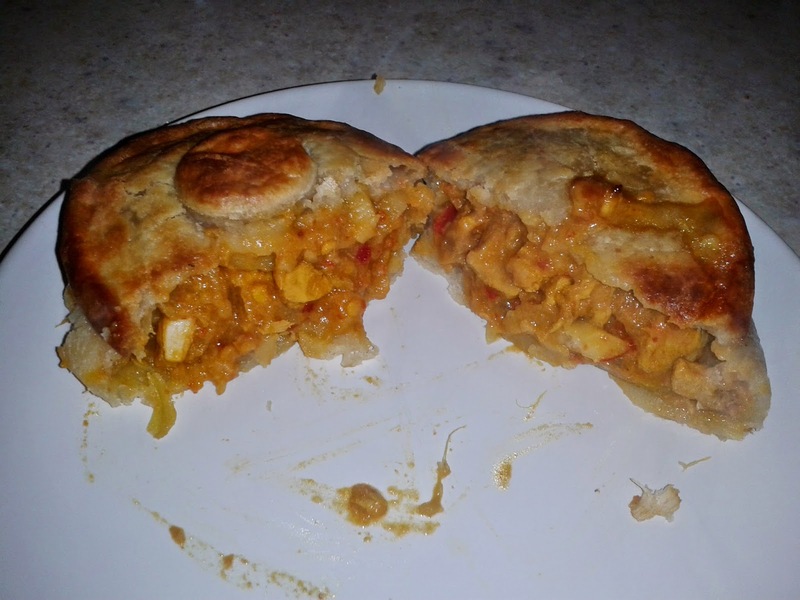 Consistency – 6.6 out of 7 – For me the spicy flavours for this filling seemed to work really well as a pie. Joint favourite one although I did prefer the less runny consistency of the filling in some of the others. Content – 6.8 out of 7 – This one was quite spicy and hot, I really liked this but I would note that it wouldn't be to everyone's liking. Plenty of chicken in this one. No coconut milk, it had more of a sweet and spicy flavour. A small amount of veg was welcome. 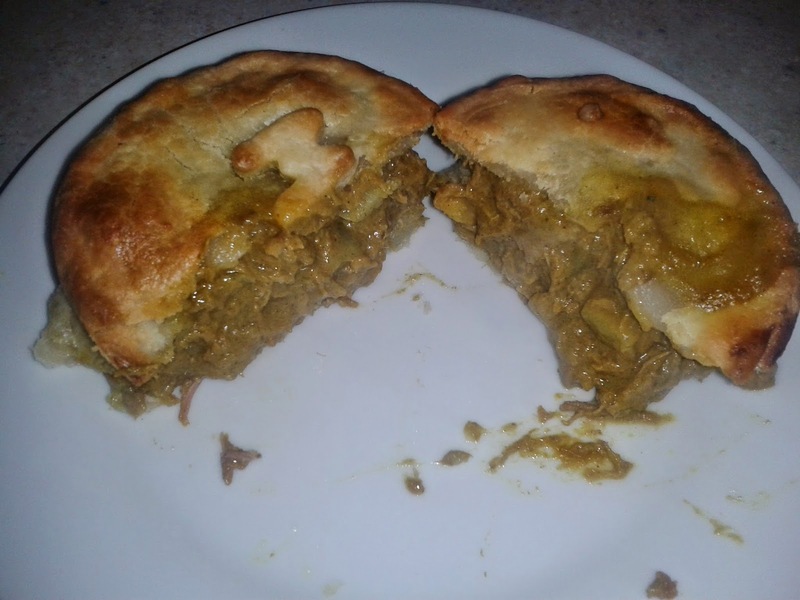 Consistency – 6.7 out of 7 – For me the hot, spicy flavours for this filling seemed to work really well as a pie, it isn't like curry pie is something new but this pie does it better than most. Joint favourite with the Red Curry. Chewiness – 6.2 out of 7 – The small chunks of chicken were again good and there was also the addition of some soft veg to bite into, although for me it was a little bit too soft. Content – 6.8 out of 7 – Again, I loved the flavour, it tasted as good as any other Thai Green Curry I have had. This one had much more of a coconut taste than the red curry. 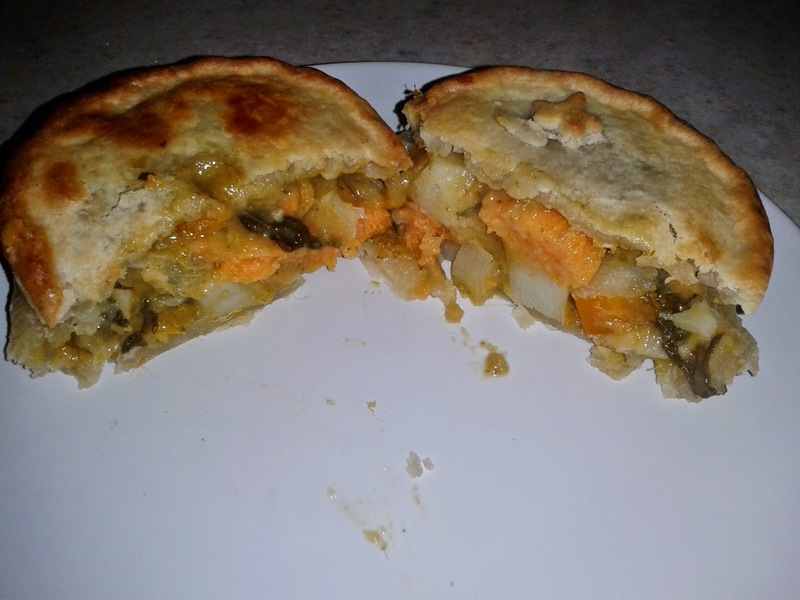 Consistency – 5.8 out of 7 – A thicker consistency for the filling worked really well in a pie. However, I liked this one slightly less as I thought the coconut taste was a bit strong and seemed a bit odd in a pie, but still really enjoyed it. Chewiness – 6.8 out of 7 – Plenty of beef, slow cooked and tender. There was also fair bit of potato which was decent texture. Content – 5.4 out of 7 – This pie was quite unlike anything that I have ever had before, I don't think I have ever even eaten a Massaman curry. It was beef, onion and potato. It was not very spicy. A mild, coconut-y curry for those of you that like that kind of thing. Quite a strong coconut and nutty taste. Despite the beef, the taste was really about the spices. 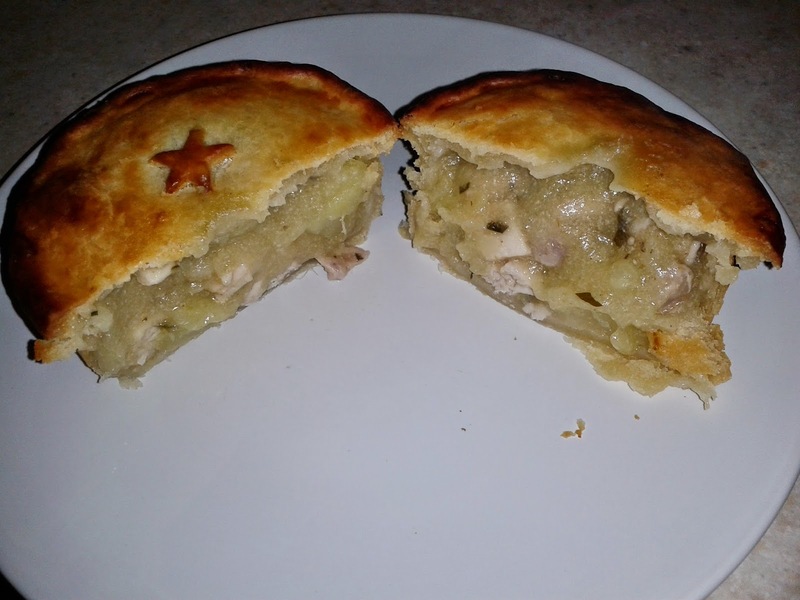 Consistency – 5.4 out of 7 – Despite the filing being more akin to a traditional pie, the flavours were very different. For me it didn't quite hit the spot flavour wise, but I would note that this is more down to personal preference. There was nothing wrong with this pie and if you like the sound of it then you may think it should score higher than I did. 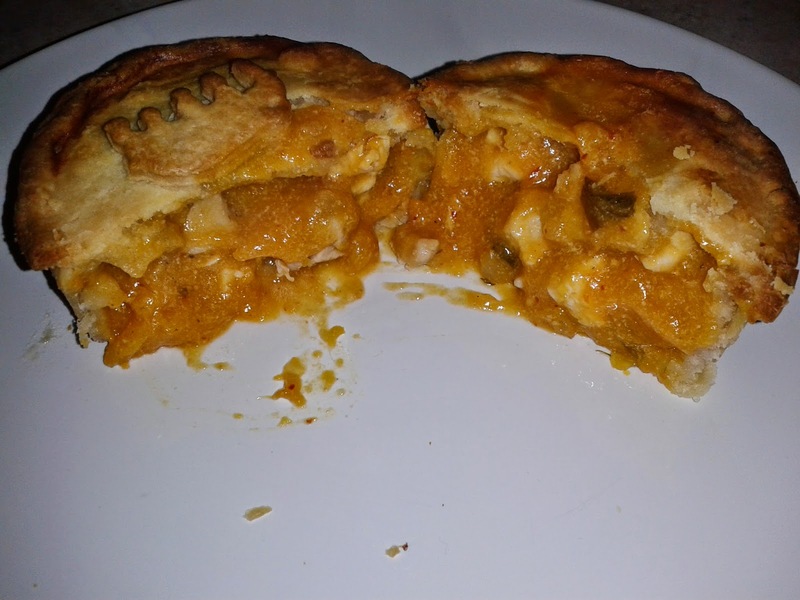 Chewiness – 4.0 out of 7 – There was a lot of sweet potato in the filling of this pie and it was all a bit mushy, with not much to get my teeth into. Content – 4.0 out of 7 – The flavours were again really good with this Green Curry, I thought it was a bit less coconut-y than the Chicken version but I guess the sauce is probably the same. I found the sweet potato got a bit same-y and that there wasn't enough variety in the veg. Consistency – 3.5 out of 7 – I didn't dislike this pie, but it is the only one I wouldn't go out of my way to eat again. Mushy but tasty. Overall a great range of pies, I will be looking to have some more of these in the future. I think they are all pretty good and whilst I have my favourites, I think it is partly just down to my personal preferance and others might have a different favourite. The owner noted to me that everyone seems to like different ones, which I think indicates that the pies are consistently good. They can be really happy to have gained three 'Pierate Highly Recommended' awards and have the highest scoring curry pies in our pie rankings! PS The Real Thai-Pie Company are not to be confused with The Real Pie Company who we reviewed recently, they are en-Thai-erly different!